In a major piece of litigation, the Friends of the Irish Environment (FIE), and a group of individuals, sued to stop the building of a third runway at Dublin Airport. Under planning permission that had been granted in 2007, the Dublin Airport Authority was authorized to construct a new runway, and undertake related construction at the airport. The current lawsuits were based on a time extension of that planning permission. The individuals asserted a variety of legal reasons for opposing the airport expansion while the FIE concentrated on environmental grounds, including the claims that the airport expansion would generate additional greenhouse gases (GHGs) and worsen climate change and its disastrous impacts. The Irish High Court rejected most legal grounds advanced by FIE and others on the grounds that the claims of breaches of the Planning and Development Act (“PADA”) and environmental laws and regulations, were untimely since the planning permission was considered and approved by 2007. That planning permission in 2007 was subject to procedural protections, including the right for public consultation, and most of the claims now being asserted needed to be made (and many were) during the original planning decision process. In effect, the Court found there was no right for public consultation for an extension of time for the planning permission. The High Court provided, in a 289-page decision, an extensive analysis of the major points raised by the parties opposed to the expansion. Beyond various specific legal bases for stopping the expansion, the FIE claimed that there existed “an unenumerated personal constitutional right to an environment that is consistent with the human dignity and well-being of citizens at large.” At paragraphs (¶) 241, 253. It is “unenumerated” in the sense that it is not specifically described in the Constitution but rather is inferred from the language of the constitutional provision and developing science and social mores, guided by prudence, justice and charity. Climate change poses a real and immediate risk to, at least, the bodily integrity of members of the FIE, as well as to citizens more generally. 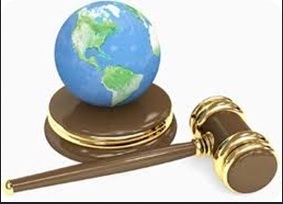 The Court relied on the IPCC reports as well as scientific expertise submitted by FIE. Under §3 of Article 40 of the Constitution, (positive) law is subordinate to justice in considering fundamental rights. The dignity and freedom of individuals cannot be assured if the environment on which their well-being is concerned is being diminished. Declaring a new unenumerated right must be done with all caution. The precise, specific “parameters” of such an unenumerated right are complex and unsettled, but those issues need not be resolved here where it is only the general right that is being declared. See below in Conclusion. As a company, FIE has standing (“locus standi”), or is entitled to, sue in this case as it has a bona fide concern and interest in the issues at stake. The court noted that: “There is too a clear public good at stake when it comes to the contended-for constitutional right to an environment that is consistent with the human dignity and well being of citizens at large.” At ¶260. 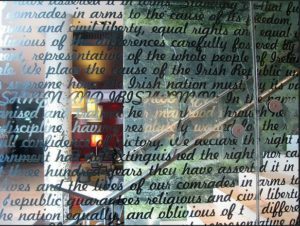 While the Court held that such a right exists under the Irish constitution, nevertheless, the court concluded that the right was not infringed in this particular case. The appeal against the Dublin Airport expansion is a very narrow case about whether public consultation or other issues are relevant to a mere extension of the time for the planning permission where there was, arguably, no substantive change to the scope of the previously-approved planning permission. As the court noted there are many undefined parameters to the scope and nature of this constitutional right that need not be resolved in this case but analysed and decided in other cases. Some of the specific applications of the constitutional right to a safe environment might include: (i) does the contended-for right impose a positive duty to act on government and/or others? (ii) does it afford protection from general environmental risks or actual harms? (iii) is it a right against government only and to what kinds of government action does it apply? (iv) is it the right knowingly to consent to serious health risks in the environment, to government abstention from direct or indirect participation in the creation of a health risk, to government compensation for harm suffered? (v) does it extend to the indoor environment, the home, and the workplace? (vi) what level of health is protected and whose health is protected? (vii) is it a civil right of humans or does it extend to animals and ecosystems? At ¶254. Such uncertainties about the full scope of a constitutional protection are not unusual. For instance, the freedom of speech is a fundamental right but many of its applications remain open to contested arguments and decisions. We are likely to receive further clarification on the reach of this constitutional right soon. For the FIE filed a lawsuit, a month before the decision in the Dublin Airport case, claiming that the Irish government’s National Mitigation Plan violates the government’s promises under the Paris Climate Accord, the Irish Climate Act, and the Irish constitution and human rights obligations.